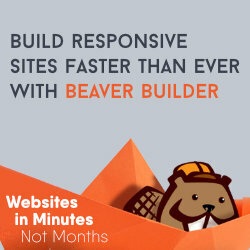 Beaver Builder is a great page builder for WordPress, but sometimes you want more out of the modules. Or you want something a bit fancier. Maybe something prettier. For that, grab Ultimate Addons. Not only does it extend some of the basic modules, but it adds a lot of new ones as well. Better maps, headers, menus and galleries just to start. You also get flip boxes, row separators, fancy text animations, modal popups and much more. Here are just some of the modules in Ultimate Addons. Ultimate Addons also includes page templates and sections; aka prebuilt rows. These help you get a jump start on laying out your pages. If you want even more out of your Beaver Builder site, grab Ultimate Addons and kick it up a notch!